Ni No Kuni II: Revenant Kingdom is getting a PC release as well as a PlayStation 4 one, but many have been asking Bandai Namco and Level 5 about a possible release of the original game on PC. While the team cannot comment on the matter at this time, it seems like they are, at the very least, interesting in releasing a port. 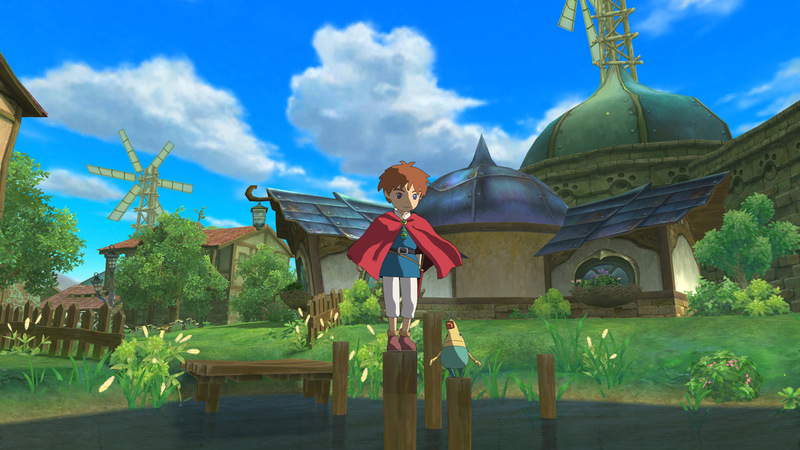 Speaking with PCGamesN, Ni No Kuni series’ director Akihiro Hino couldn’t comment on the possibility of releasing a PC port of the original game but would love to see it happen. I would love to see it happen, since we hear a lot of requests from all Ni no Kuni fans around the world. Ni No Kuni II: Revenant Kingdom will retain the beautiful art style employed in the original game while expanding the experience in several different ways. In his preview of the game, Dave also noted how the game can be quite challenging. The game is tough, too – bosses hit hard. The new flexibility in battles means you have to be more aware than ever, making space so you can heal and deal damage from safety, rather than tanking damage and persevering – though I’m sure that’s possible too with a bit of grinding. Ni no Kuni II: Revenant Kingdom is shaping up to be the sequel everyone wants from the lovely PlayStation 3 JRPG, and I can’t wait to get my hands on the full game. It’s due on January 19th, 2018 for PC (Steam) and PlayStation 4 and it should be a nice way to begin the new year. Ni No Kuni II launches in January 2018 on PC and PlayStation 4.